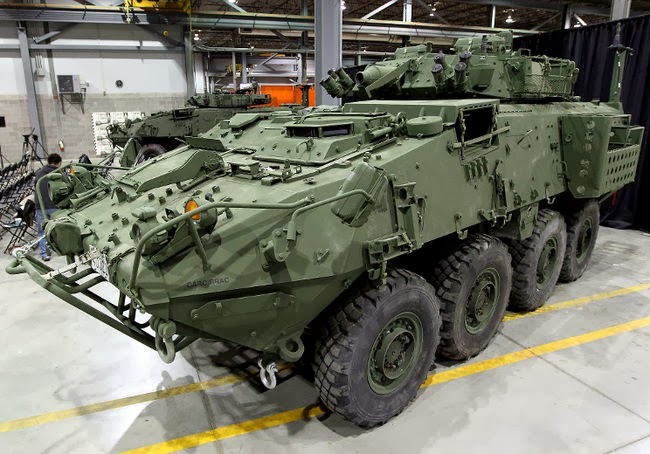 Canada’s defence industry has beaten out German and French competitors to win a massive contract worth at least $10 billion US to supply armoured military vehicles to Saudi Arabia. The win was announced by International Trade Minister Ed Fast to cheering workers Friday at a factory in London, Ont., and will go a long way in bolstering the Harper government’s case for transforming Canada into a global arms dealer. But it also raises many ethical questions that will continue to surface as Canada’s arms industry turns more and more to the volatile Middle East and South America for business. 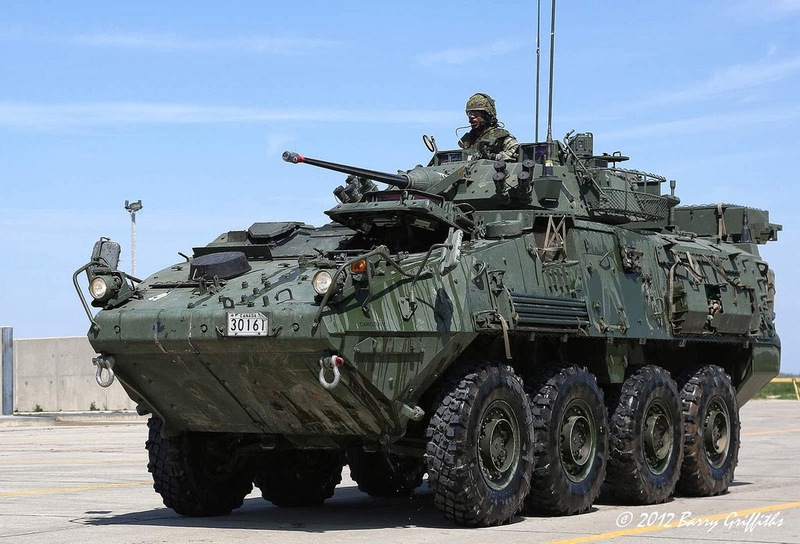 Canada has previously sold light armoured vehicles (LAVs) like those used by Canadian soldiers in Afghanistan to Saudi Arabia, with more than 1,000 delivered to the Middle Eastern kingdom in the early 1990s, and 700 more in 2009. But the government is touting this latest deal as the largest export contract in Canadian history, with the potential to create and sustain 3,000 jobs in southern Ontario and other parts of the country. Exactly how many LAVs are being sold to Saudi Arabia was not being revealed, but documents filed in the U.S. by General Dynamics Land Systems – Canada, whose London-based subsidiary will be building the vehicles, put the contract at between $10 billion and $13 billion. Defence and export industry representatives praised the Conservative government Friday for its role in securing the deal. Such government support is consistent with its plan to offset job losses and factory closures in other segments of the manufacturing sector by turning Canada’s arms industry into a global player. Yet concerns have been previously raised about selling such military hardware to Saudi Arabia, given countless reports of human rights violations, including severe restrictions on protests and dissent, and excessive use of force when disbanding demonstrations. Saudi Arabia also used Canadian-made armoured vehicles to help neighbouring Bahrain violently quash protests during the Arab Spring two years ago, which arms control advocates say highlights the danger of selling weapons to such countries. “We will continue to engage with Saudi Arabia on a range of issues including regional security and human rights,” he added. But Ken Epps, a senior program officer at arms control group Project Ploughshares, said the criteria used to assess the deals is blanketed in secrecy. He also noted the government’s press release touting the deal’s economic benefits made no mention of Saudi Arabia’s poor human rights record, or explained what guarantees Canadian officials received that the vehicles wouldn’t be used against civilians. This will become more and more of an issue as numerous internal documents obtained by Postmedia News show Canada is looking to the Middle East and South America for potential contracts as the U.S., Britain and other traditional customers cut defence spending. The government quietly approved the sale of 24 LAVs to the Colombian army for $65 million Cdn just over a year ago, despite concerns about the human, labour and indigenous rights violations inside that country.